The Everton/Duxton/Outram area is full of hidden treasures. Nylon is a tiny coffee place tucked in a block of flats at Everton Park. 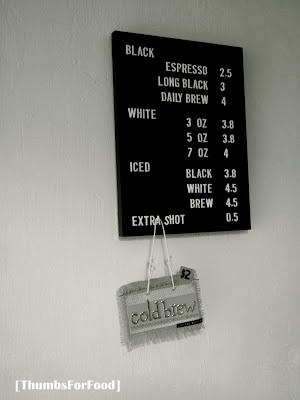 It is just opposite Duxton @ The Pinnacle which makes it a perfect location for people to come and grab a cup of coffee. 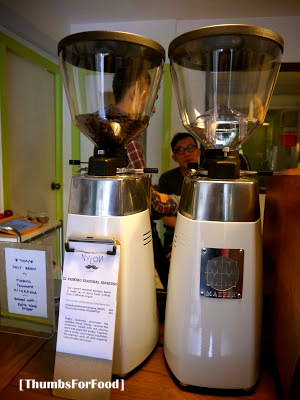 As the name hints, the highlight of this cafe is the coffee roasted by this machines! They have a very simple menu; just 10 items on it. In case you are wondering, they do not sell any food! We tried the White and I like my coffee with milk, so I ordered the 7 oz cup! The price is very reasonable [$4]. Please take note that Nylon serves mainly takeout coffee because there are really limited seats inside the small cafe. To be exact, there are 4 seats inside and a bench outside. If you are working around this area, why not drop by and grab a cup of coffee? I would definitely return for more coffee! Looking for more food places to occupy your weekends? Check out Parco Caffe & Flor Patisserie around Nylon too! If you are referring to the second picture, those are grinders not roasters.